In the South the term “biscuit” often refers to a light, fluffy, flaky, buttery bread usually served with breakfast. In England and other places around the world however, a biscuit is more like a hard scone or “cookie” served with tea or coffee. The word “biscuit” derives from the Latin “panis biscoctus,” meaning “bread twice baked.” The history books tell us that the “biscuit” began as a simple paste of flour and water. The paste was baked, removed from the pan; then cooked again in a cooler oven until thoroughly dried out. The result was a hard, portable “cracker” with an extraordinary extended shelf life. 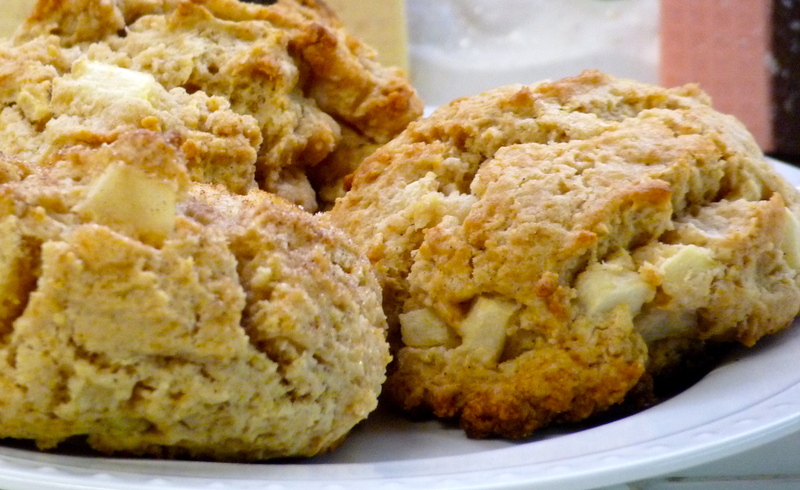 “Biscuits” were very popular among the sailors and travelers because they were lite and could last for months. Meanwhile, the more civilized areas of the world started exploring alternate baked goods. These ancient civilizations experimented with eggs, butter and cream; in addition to, sugar, fruits and honey as well as spices from the Middle East. The first shift from the unyielding biscuits were small cake like confections popular in Persia during the 7th Century AD. During the Medieval Ages the culinary techniques for making sweet and savory cake-like biscuits were introduced to the Europeans during the invasion of Muslims into Spain and the Crusades. 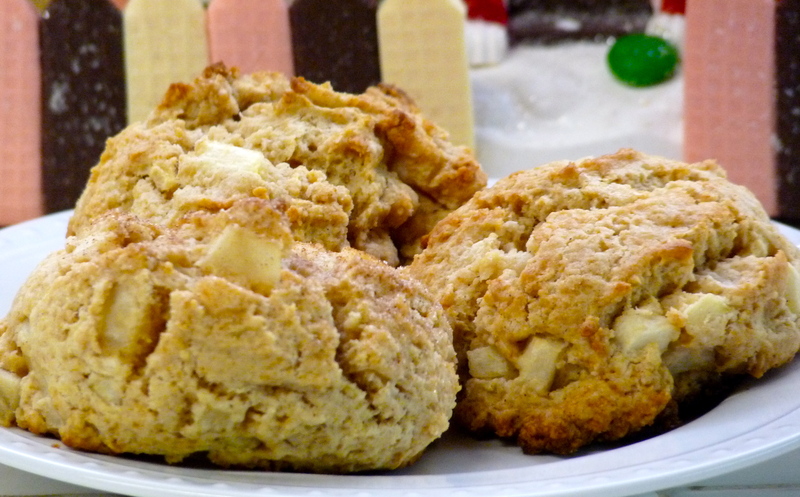 In early America the pioneers favored the “soda biscuit” or as the Chuck Wagoners referred to them, “Cowboy biscuits”. Soda biscuits were usually cooked in iron dutch ovens.These were cast-iron pots with lids that could be used over an open fire. The biscuits were were rolled then placed in the pot. After the lid was set in place the cook would layer coals from fire on top of the lid. The heat created a small portable oven. The “Marlyand”, “Beaten Biscuit” or “Appalachian biscuit” is thought to predate the leavened soda biscuit of the settlers. Before the 1900’s corn bread was a favored commodity in the Appalachian mountains. Corn bread was cheap to make as the corn was grown in abundance locally. The bread did not require a fancy oven or pans as did the “biscuits” eaten by those of society. At the turn of the century the settlement movement placed women volunteers in low income areas in the South to help alleviate poverty. The Appalachians contaminated corn products or “musty corn” were thought to be the cause of pellagra. “A life-threatening disease similar in effect to leprosy.” Families were faced with a choice to eat the stores of corn and risk death or starve during the winter months. The women hoped to help the Appalachians adopt a healthier diet. They taught them cooking lessons introducing the wheat flour “Beaten Biscuit.” The beaten biscuit was not a realistic choice for the impoverished community. The biscuits required imported wheat flour in addition to a special oven to regulate temperatures; moreover, the biscuits needed to be beaten with a mallet on a marble slab 300-500 times to incorporate air into the dough. Seeing the need for reform the Appalachains were taught how to make a simpler version called the “Cat Head”. It was basically a Southern buttermilk biscuit the size of a cat’s head. The dough was pinched off, then rolled into a ball, and placed with sides touching into an iron skillet. Today corn bread still remains the chosen bread for many in the Appalachian territory. –The “Touch of Grace” or “Angel” biscuit. These are very light and similar to a yeast roll but still considered a biscuit. They were a fool-proof recipe for new brides because the recipe called for two leaveners in case one failed. –The “Rolled” biscuit- dates back to the late 1800’s. The dough was rolled out then shaped with a cutter. –The “Drop” biscuit– the dough is the consistency of a batter. The batter is dropped by spoonfuls rather than cut or pinched. –“Refrigerator” biscuits – arrived in the 1930’s. They are tubes of prepackaged biscuit dough.